I hadn't noticed that. Thank you! For what it's worth, the movie has a LOT to do with what you just mentioned here though it does so in a different way. Great post Ward, and excellent observations. 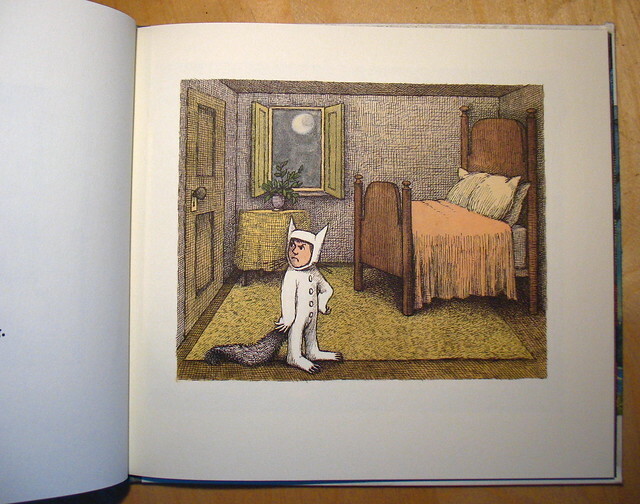 I never had the book as a kid but remember it almost constantly checked out of the library. 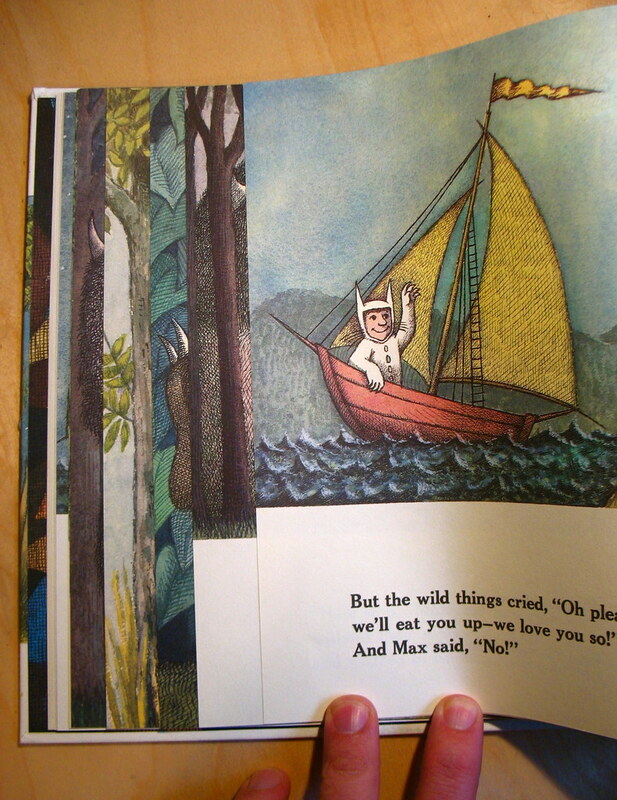 And it's still so engaging now reading it to my own kids. The movie elaborates even more on that. It's all about his anger and hurt, and feeling of being trapped and misunderstood. I thought it was excellent. 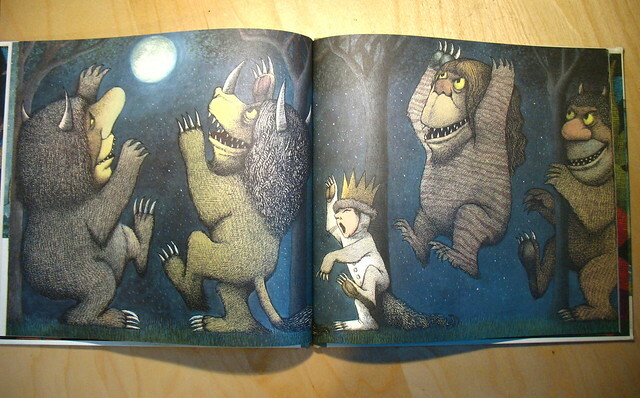 Don't be put off by the personalities of the Wild Things. At first, they're not what you expect and I wasn't sure what to think... but then they grow on you, if you let them. And it's fantastic. And very heart breaking at the same time. No one take children to see it. 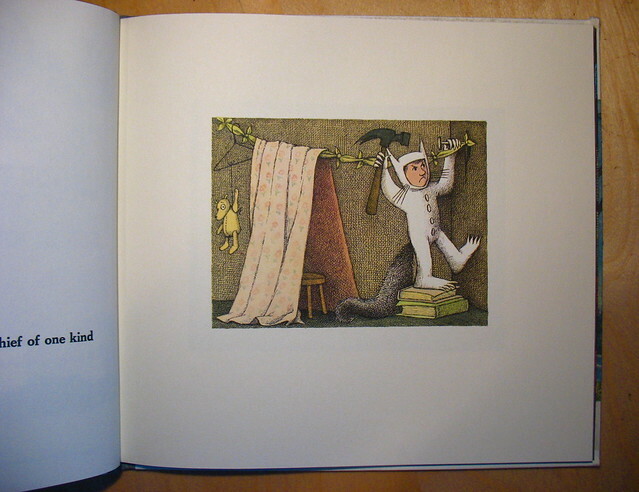 Even seen/been to the old World of Maurice Sendak attraction that used to be at San Francisco's Metreon? WTWTA rider, Midnight Kitchen Restaurant, and tons of merchandise... was cool while it lasted. What a great post synthesizing some of the brilliance of WTWTA! I'm going to link to it on Twitter tomorrow. Fantastic, I did a little presentation to my group on my illustration degree course 7 years ago, on the very same thing! 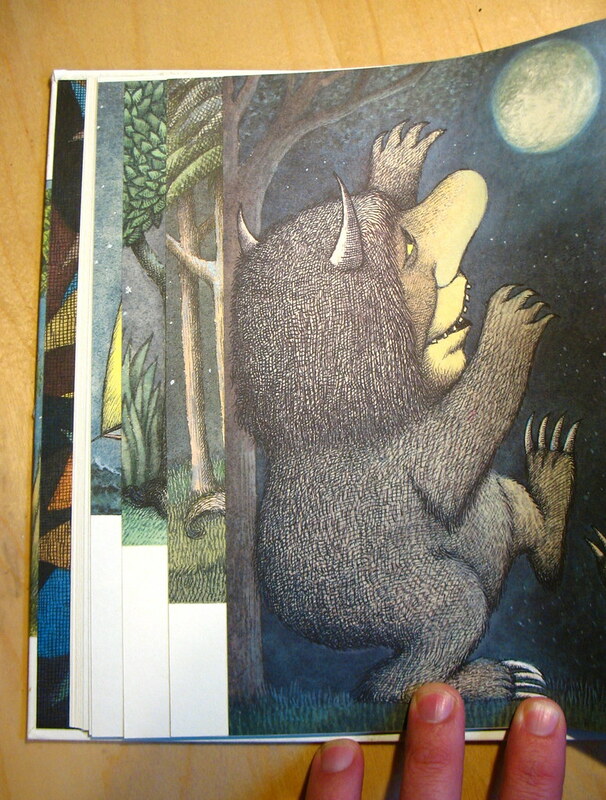 I love how the page design draws you deeper into the story but in such a subtle way...Sendak is a genius. Thank you for this post. You inspired me to put into words on my own blog what I have been thinking about for a long time. 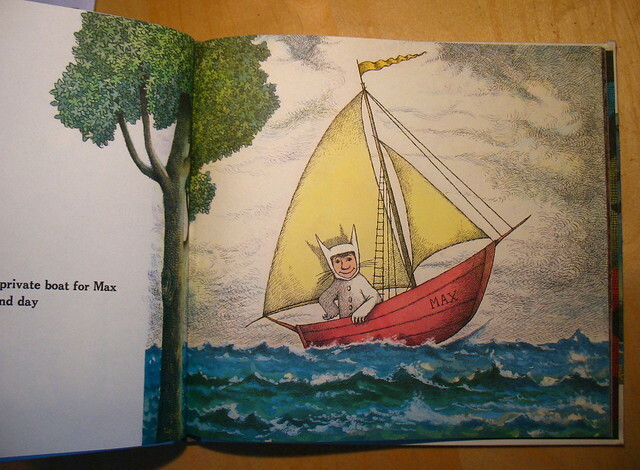 "Where the Wild Things Are" holds a wealth of deeper meanings. 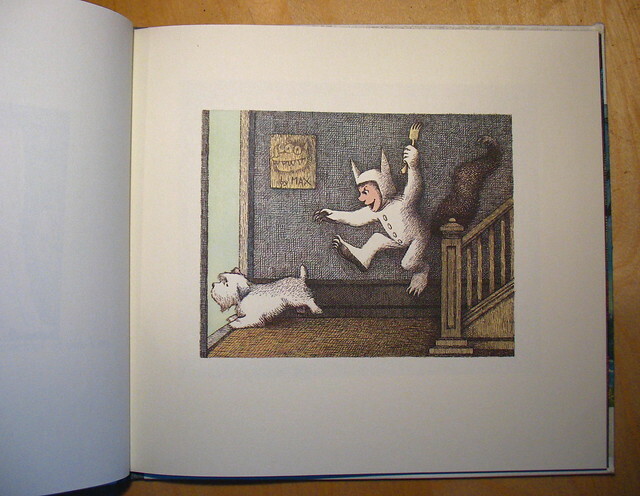 I am not sure if Maurice Sendak intended all of this scrutiny, nevertheless, under the least little examination a lot can be taken from his few words and detailed drawings. Great observation! Thanks for posting it. 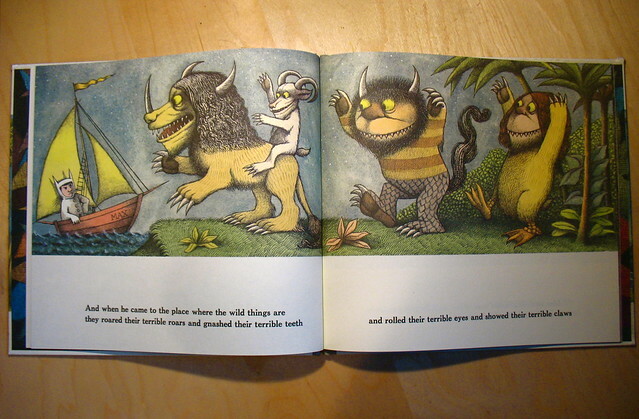 I believe that Where the Wild Things Are was one of the first books that used claws and pointed teeth. 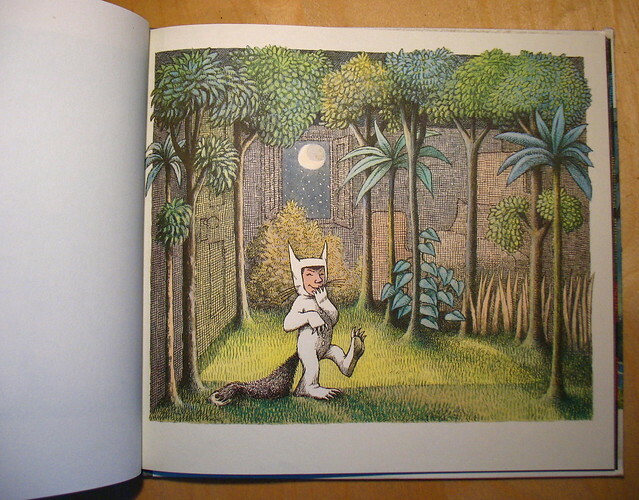 Before that publishers shyed away from monsters and creatures having those, as they might frighten children. 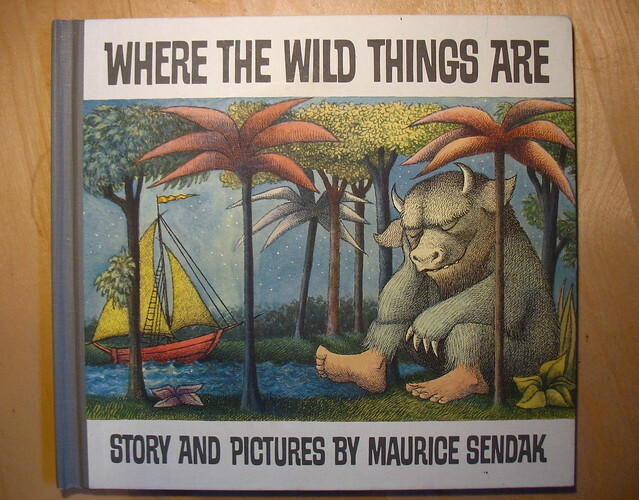 This book was definitely a pioneer. I had noticed that when I decided to re-read the book a few days ago! 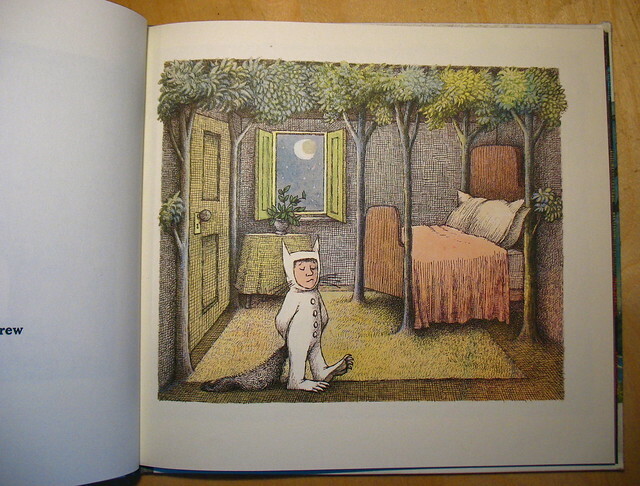 And the way you say it, man, it makes Sendak look like the greatest genius ever. 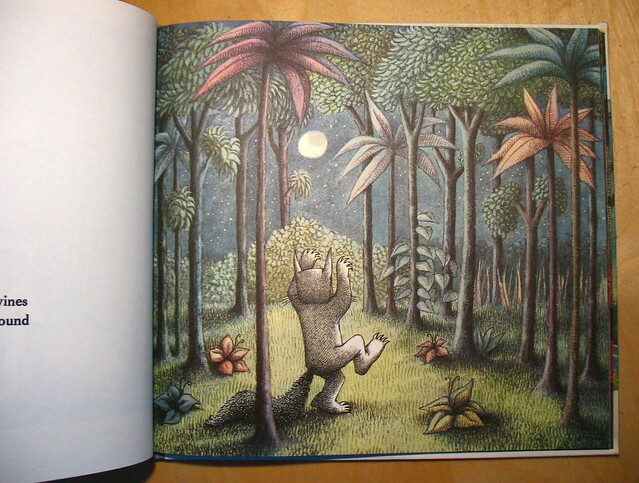 *sigh* It will always be one of the greatest picture books ever. Genius. How did I fail to notice that before? Thanks so much for a great post! 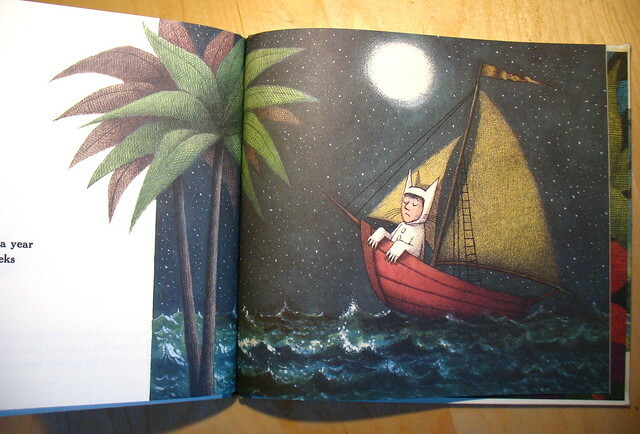 For such a simple story there is a lot going on! Thanks for the astute observations, Ward. Headed over from Betsy Bird's #1 post... I LOVE this breakdown. 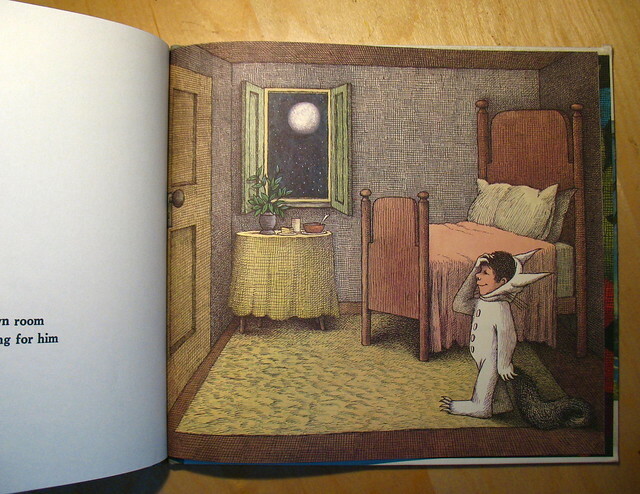 So subtle, so expertly cued, so Sendak. Thanks for this! You're welcome, Carter! Thanks for coming over and commenting. I love sharing stuff like this with others.